If living with pain is making you nervous of doing new things, what can we do differently that could help? Life is full of ups and downs, and can be challenging for us all, but when you live with pain daily, life is even harder. Even more so when people cannot see your pain, they don't always understand or believe the extent of it. Others might see you on a good day, and think "She looks fine to me, it can't be that bad". But it really can be that bad, especially on a bad day. When you can't get out of bed, and tiredness has become a real problem, maybe 'tired' doesn't even begin to describe the exhaustion you feel. Maybe the medication isn't really helping your pain as much as it used to, you might feel like you’re stuck on a see-saw with sleep on one end and pain at the other, a truly challenging balancing act. You already know Living with chronic pain is debilitating, and seriously affects quality of life. Pain is a warning, and most people experience it as an unpleasant sensory and emotional experience, as well as psychologically. But when pain is persistent, that definition doesn’t really begin to describe what Pain has actually taken away from you. Perhaps it has stopped you doing simple things around the home? Do you struggle to do the laundry? Can you stand to cook a meal? Maybe it has caused you to stop working? Pain is different for each and every one of us. The sensation is individual to you. Pain can vary in its intensity, sometimes hurting a little and other times can be overwhelmingly intense. Pain can be nagging, or aching, it can be sharp or stabbing, sometimes likened to a lightning bolt or fire. Your experience of pain defines it. You can tell where it is and what it feels like, and also how much affect it has on you. How you think about pain, and your perception of it, make all the difference in how you can manage your pain using hypnosis. So you have been to your doctor, and been formally diagnosed. You have chronic pain that is being managed by medication. Hypnotherapy can become part of your treatment plan. When we work together we break down the pain into its components so that it is not so complex. We can focus on these different aspects to use hypnotherapy to teach you how to effectively manage stresses and anxieties relating to your pain, as well as teaching you to manage your levels of discomfort. I also teach you self hypnosis, so you can learn, develop and maintain your skills going forwards. Hypnosis has been used for many years to treat various types of pain. Did you know hypnosis has been used for tooth extraction at the dentist, and surgeries, including amputations without the need for anaesthesia or analgesia? What could your life be like without your pain? 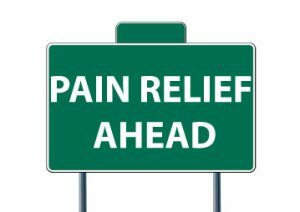 You have the power to create Real, Effective Pain Relief. Hypnosis for pain can be used to help relieve symptoms from conditions such as Rheumatoid Arthritis, and Fibromyalgia pain as examples. You should have a formal diagnosis from your GP before starting hypnotherapy. You should keep your GP informed if you intend to use hypnotherapy to help with your condition. With your permission I can provide updates to you doctor on your progress.